Everyone deserves a good night's sleep. 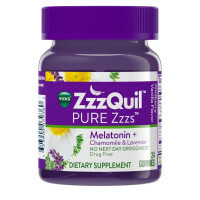 Try Vicks ZzzQuil PURE Zzzs and get the sleep you need - drug-free. PURE Zzzs works naturally with your body to support sleep and is specially formulated with an optimal level of Melatonin, shown to help regulate your sleep cycle without next day grogginess. * It also contains a unique botanical blend of Lavender, Chamomile, Lemon Balm, and Valerian Root. *THESE STATEMENTS HAVE NOT BEEN EVALUATED BY THE FOOD AND DRUG ADMINISTRATION. THIS PRODUCT IS NOT INTENDED TO DIAGNOSE, TREAT, CURE, OR PREVENT ANY DISEASE. 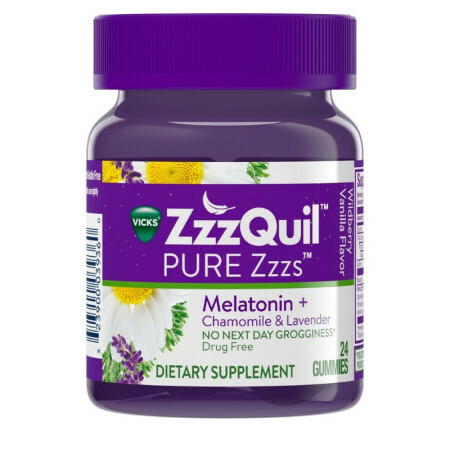 Helps you fall asleep naturally and wake refreshed.